CARGO Colour - Stick adds smooth and flawless colour to the cheeks, eyes and lips. - A true multi-tasker, Colour - Stick blends effortlessly onto the skin for an air-brushed finish. The cream to powder formulation sets for an extremely long-lasting finish and never settles into fine lines for a youthful, luminous effect. 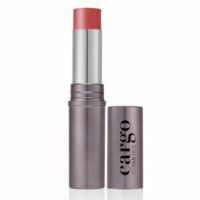 - Oil free, Colour - Stick creates a natural monochromatic look and has a velvety, ultra-light consistency which is a dream to apply. Available in a variety of shades that deliver specific effects such as highlighting or adding a touch of luxurious colour.